Gettysburg Foundation - Gettysburg Foundation Wins Multiple Awards in 2017! Gettysburg Foundation is pleased to announce receiving multiple awards as a tourist attraction in 2017 for excellence in visitor experience. 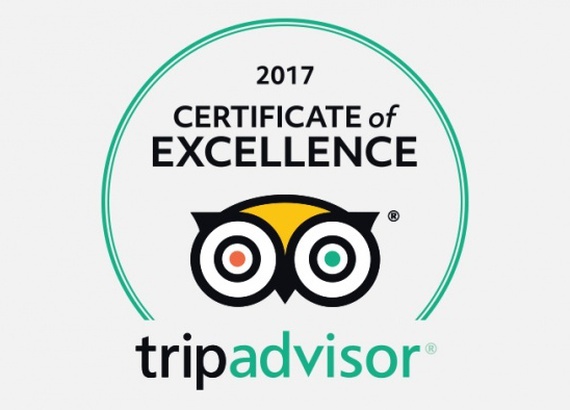 For the third year, Trip Advisor, the World's Largest Travel Site with 500 million+ traveler reviews, has awarded the Gettysburg National Military Park Museum and Visitor Center its Certificate of Excellence, which recognizes establishments that consistently earn great TripAdvisor reviews from travelers. The American Bus Association (ABA) serves a thriving industry that provides more than 600 million passenger trips annually on charters, tours, scheduled service and shuttles. In June, the ABA presented the Museum and Visitor Center their “Best of the Best 2017” award for travel industry members that goes above and beyond as a travel destination. More locally, Celebrate Gettysburg and Harrisburg magazines reader surveys put the Museum and Visitor Center on top as “Gettysburg’s Greatest” and “Reader’s Choice,” respectively. In addition, the George Spangler Farm Civil War Field Hospital barn preservation project won Historic Gettysburg-Adams County Preservation Society’s 2017 Restoration Award for excellence in preserving the past.